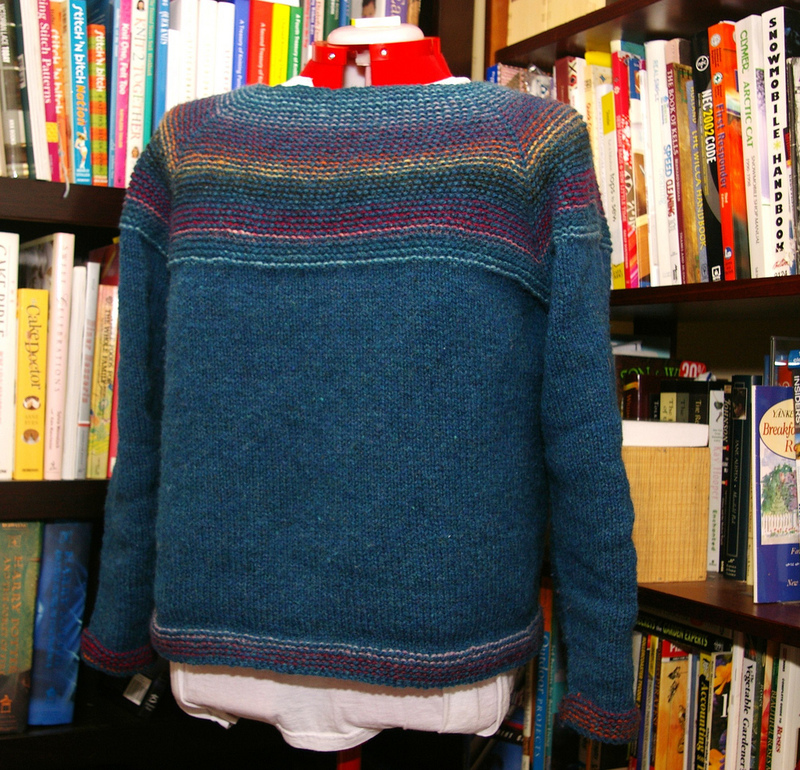 For the curious, my recipe began with this top-down raglan pattern (I ignored the cut-it-into-a-cardigan steps). 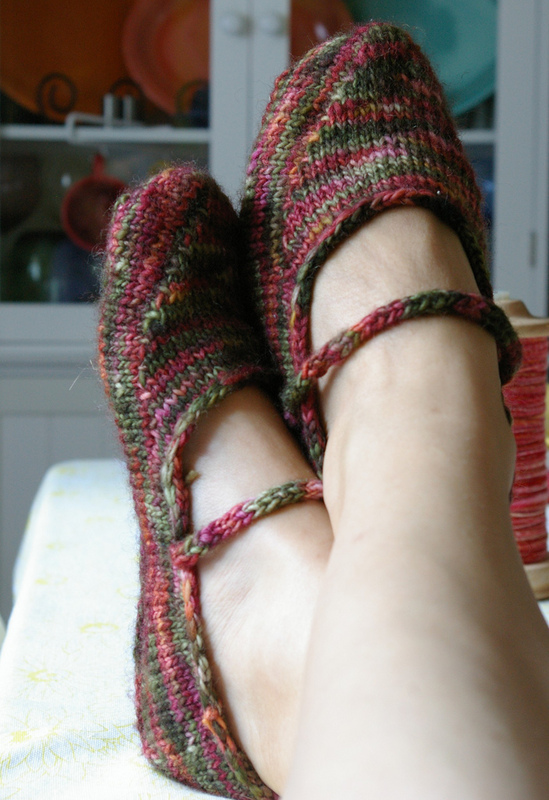 I used size eight needles, two balls of Noro for the CC and about four and a half balls of Wild Apple Hill Yarn for the MC. 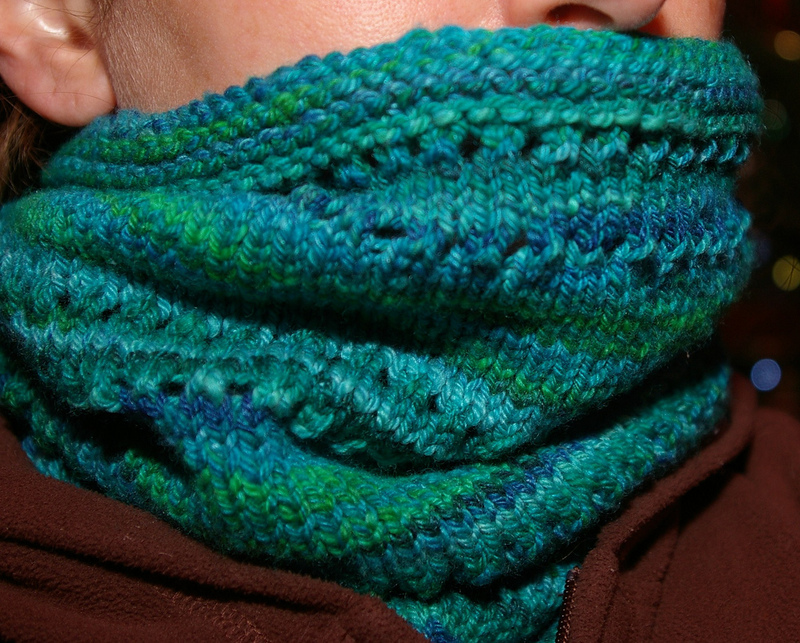 I started with the MC then used the CC for the purl rows – I did the increases on the MC rows. 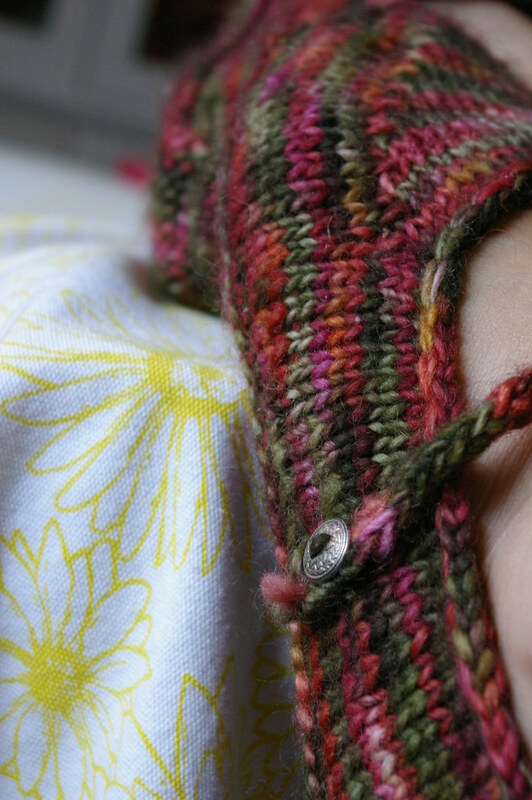 I knit the yoke until I could touch the stitches together under the arms then I put the arm stitches on holders. I cast on six stitches at each armhole when I continued knitting the body. After I was done with the body, I put the arm stitches onto needles and picked up the six stitches under the arms so they were seamless. 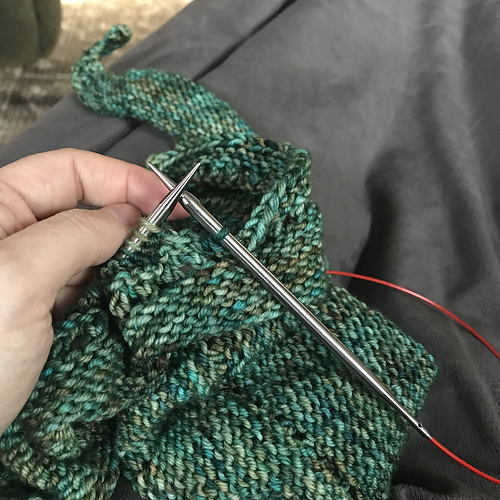 I then knit straight down the arm for about four inches and began decreases every eight rows until I was three inches from where I wanted to start the garter stitch. At that point I did the decreases every four rows. 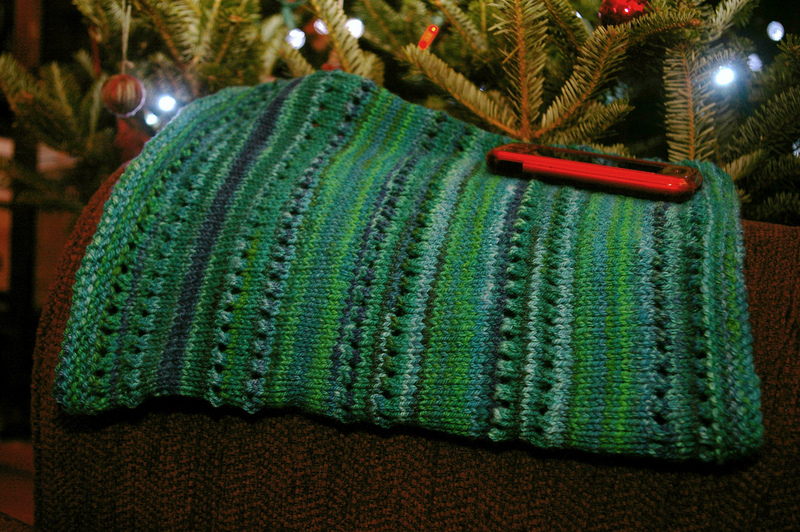 For the garter stitch, I switched down a needle size (on both body and sleeves). I used the sewn bind-off since it’s nice and stretchy. Did I mention that I lurve this sweater? It’s so pretty in person!! I wish the light was better this time of year so I could really show you how pretty the colors are. 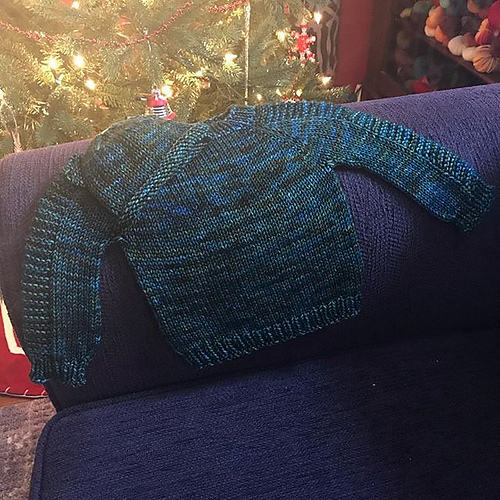 Two FO posts in a ROW. I think this might be a personal record. Oh and a quickie link – those geniuses at Google have developed a map that will show you voter registration information for your area based on your address. So, you put in your address and up pops info on how to register to vote and when the cutoff is to make it for this election. How cool is that?